Academy Award winner Viola Davis (Fences, How to Get Away With Murder) shines a light on the unsung tradition of rent parties for Jazz Appreciation Month in the newest Storyline Online video released today by the SAG-AFTRA Foundation. Davis reads the critically acclaimed children’s book Rent Party Jazz written by William Miller, illustrated by Charlotte Riley-Webb and published by Lee & Low Books. Rent Party Jazz tells the story of Sonny Comeaux, a young boy living in New Orleans during the 1930’s. Sonny works before school and during the weekends to help his mother make ends meet, but they continuously struggle to make the monthly rent. When Sonny’s mother loses her job, all seems lost – until Sonny encounters and befriends jazz trumpeter Smilin’ Jack. When Jack hears about Sonny’s troubles, the musician offers to help Sonny and his mother put on a party consisting of tasty food, good company and great music in order to raise the rent money. Highlighting the rent party custom that originated in Harlem, New York, during the 1920’s, Rent Party Jazz showcases profound morals about compassion, family and supporting your friends and neighbors in times of need. It’s an all-embracing, poignant and uplifting story detailing the influence of jazz on African-American communities during an unheralded point in American history. Viola Davis is just the latest actor to join an expanding cast of Storyline Online readers. 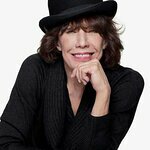 Previous supporters include Lily Tomlin, Kevin Costner, Annette Bening, James Earl Jones, Betty White and Rita Moreno. Storyline Online features beloved performers reading cherished children’s books out loud alongside inventively animated, original illustrations. The site is available 24 hours a day at no cost to children, parents, and educators worldwide, and receives over 13 million views every month. Rent Party Jazz comes with supplemental activity guides for both home and school that strengthen verbal, written and comprehension skills. Aimed at students in the 2nd-4th grades, these activities encourage students to engage in critical thinking and ponder the themes from the book including giving, empathy and friendship. To view Rent Party Jazz and all of Storyline Online’s videos, visit storylineonline.net, and subscribe to youtube.com/storylineonline.